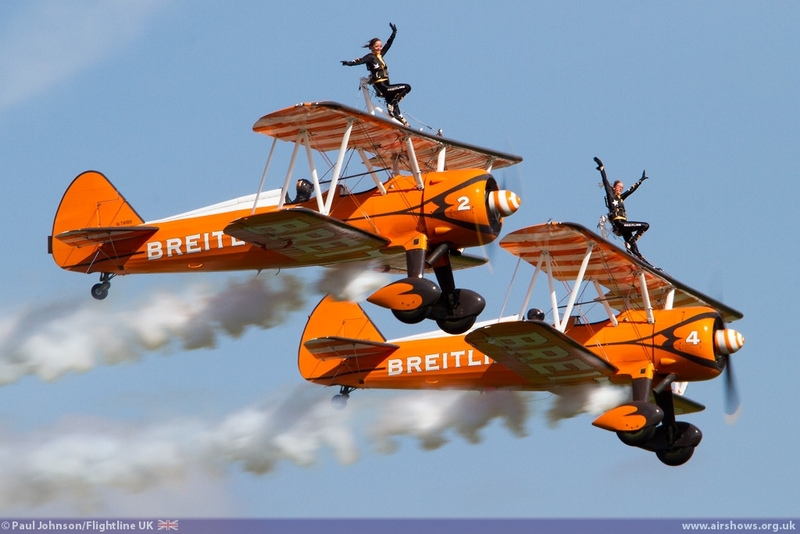 The Abingdon Air & Country Show for many military and civilian display teams marks the start of the airshow season. Held at the former RAF airfield, which is now Dalton Barracks, the show has grown significantly in the past few years into a major event. 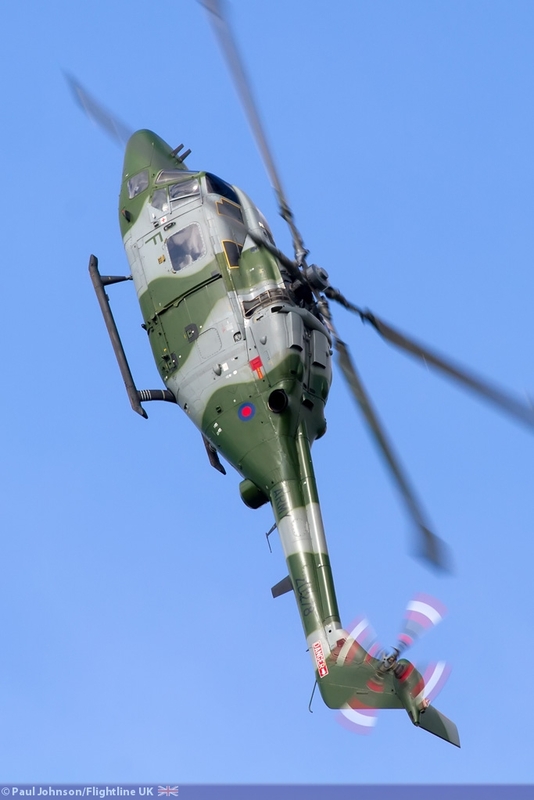 2013 saw the show overcome a lack of military participation to present a superb afternoon of aerial entertainment in some warm sunshine. 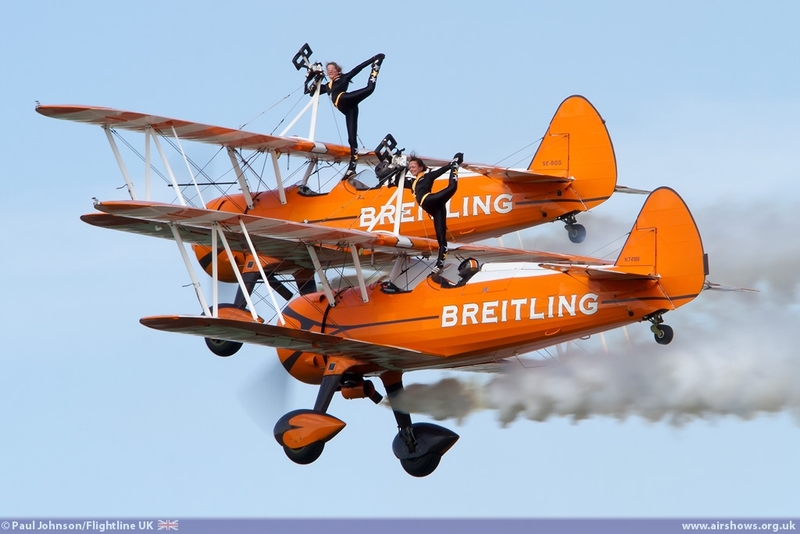 Abingdon has for the past few years seen the first appearances by a number of RAF display teams and some excellent military support has been long been an attraction of the event. 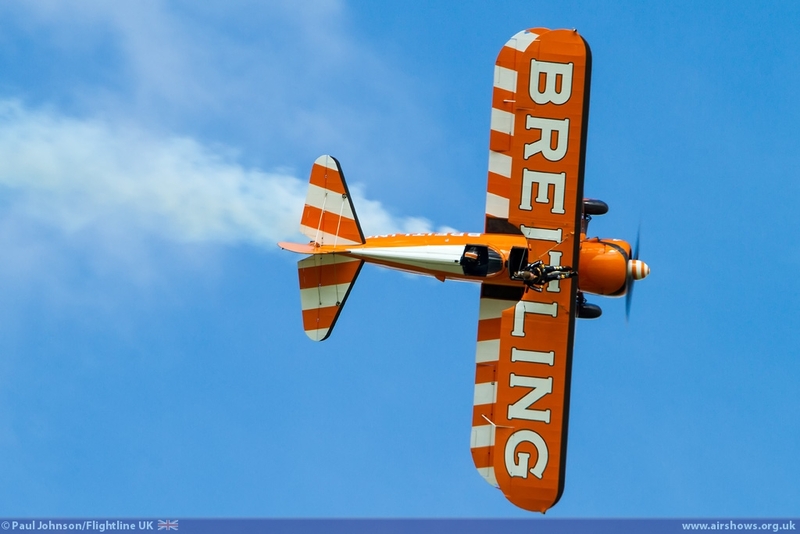 However, this year some bad luck much earlier in the year had a major effect on the make-up of the Abingdon flying display. 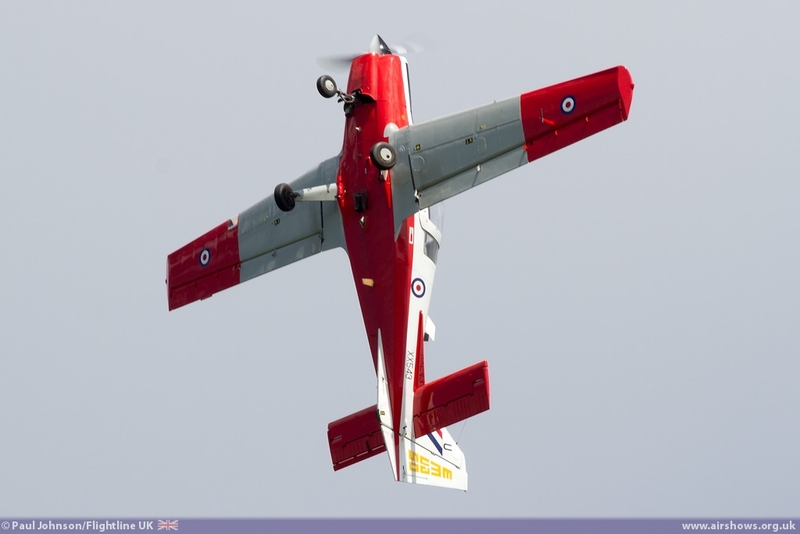 Earlier January saw incidents affect both the RAF's Tutor and Tucano fleets with subsequent lengthy groundings. 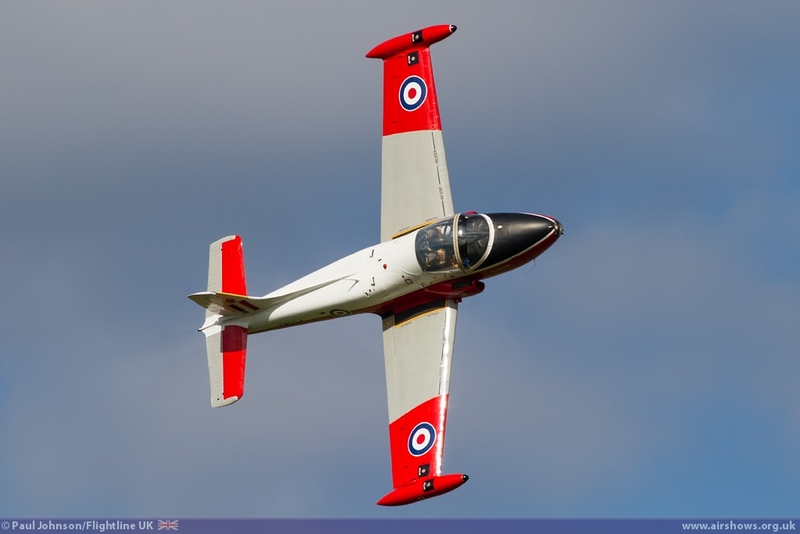 This meant that both the Tutor and Tucano display teams have delayed the start of their seasons meaning they both were forced to miss Abingdon for the first time in many years. 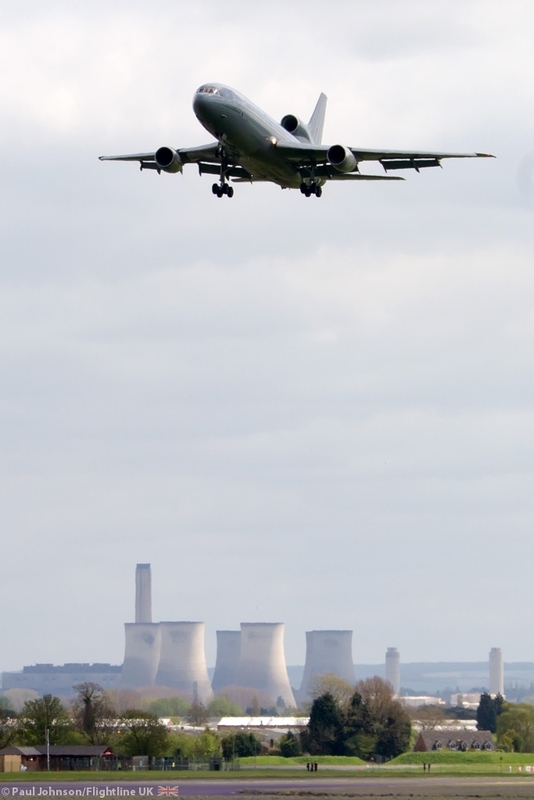 With the Typhoon solo also unavailable, it meant the only RAF participation in the flying display came from the Battle of Britain Memorial Flight and a flypast from a Tristar from nearby RAF Brize Norton. 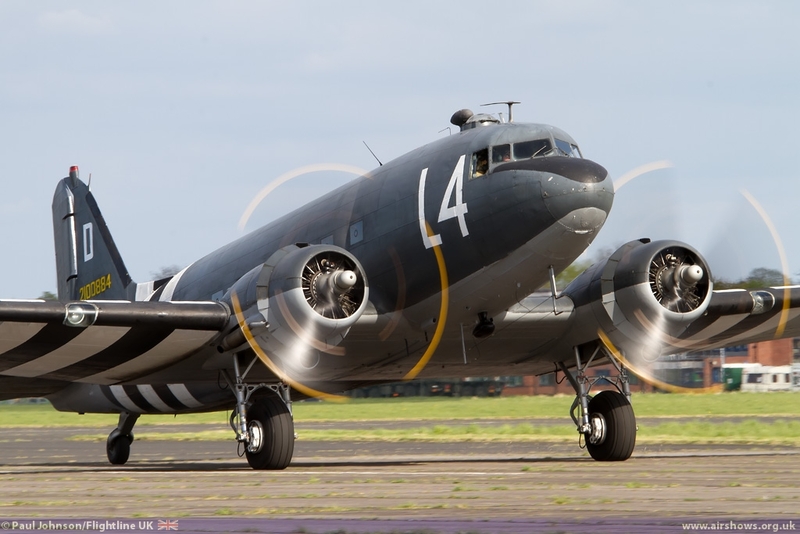 On the ground however, there was excellent support from military air arms. 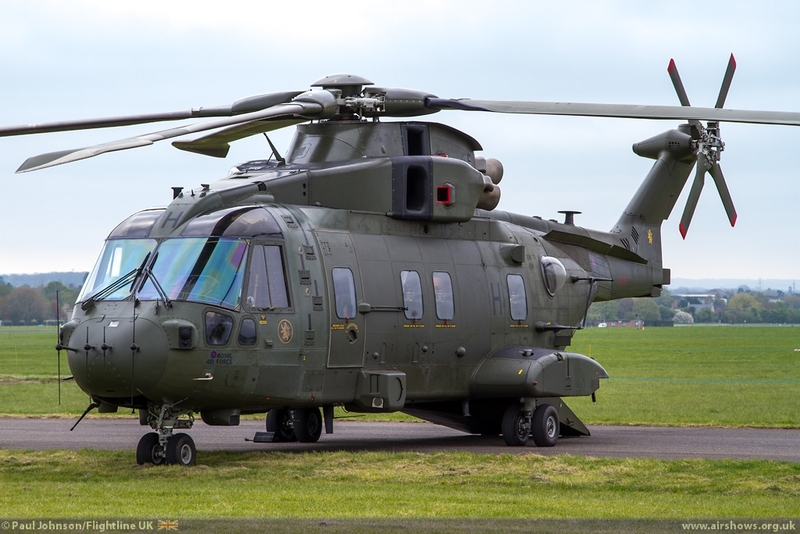 RAF Benson continued their traditional support of the show with a static display from a Westland Merlin HC3, The International military support was excellent with participation from three different countries. 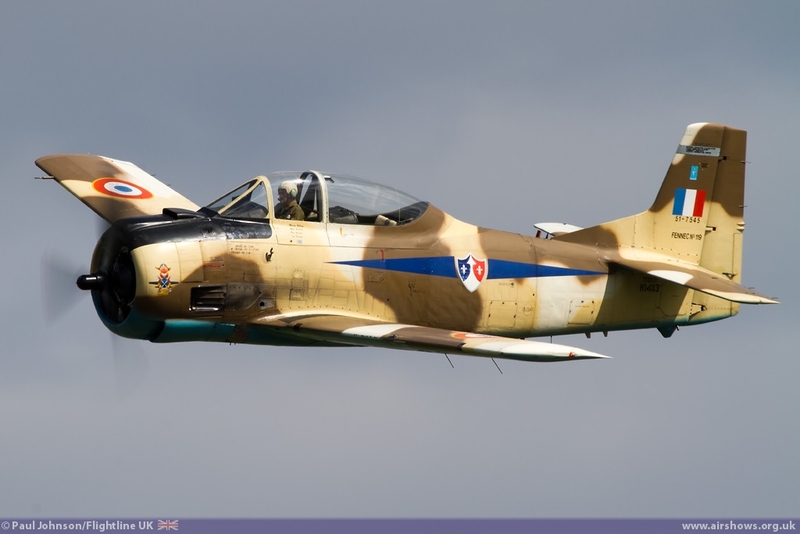 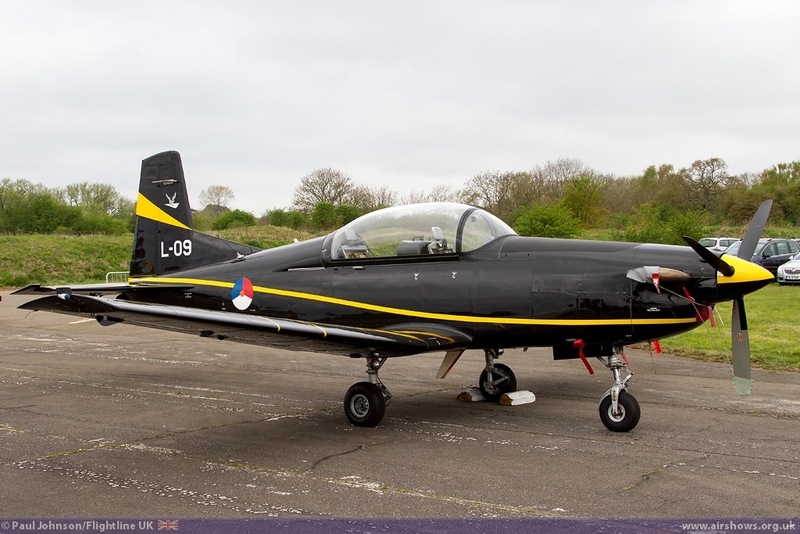 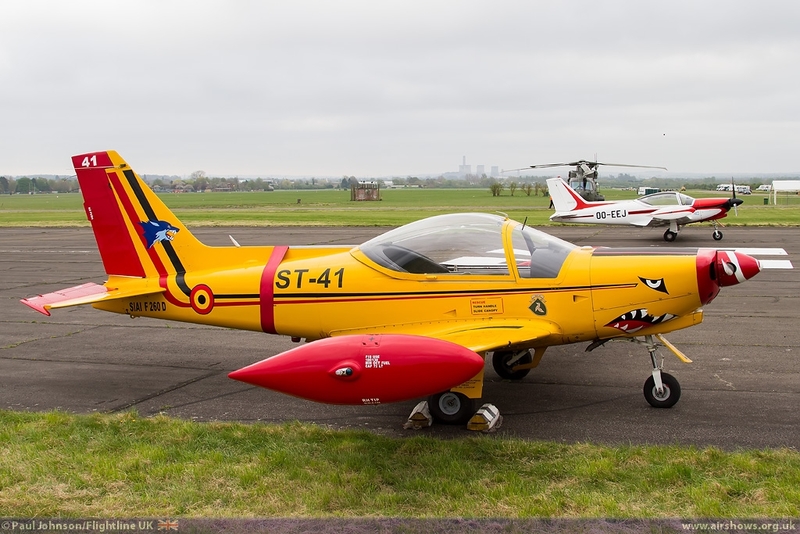 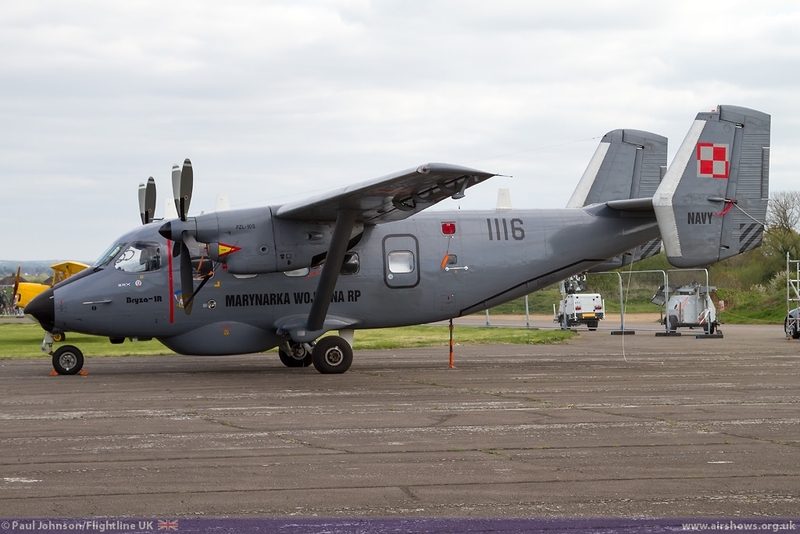 The Royal Netherlands Air Force returned with a Pilatus PC-7 Turbotrainer while the Belgian Air Force participated for the first time with a SIAI-Marchetti SF260. 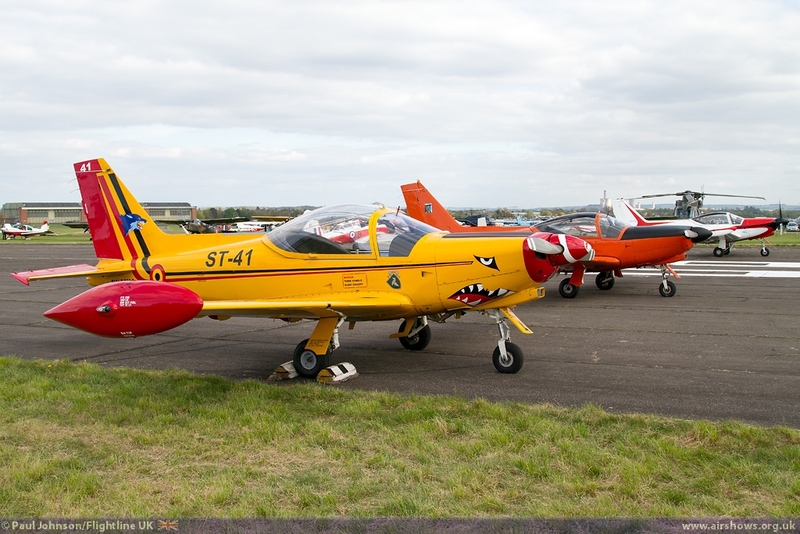 The latter was joined by two civilian examples of the type for an interesting and colourful line-up. 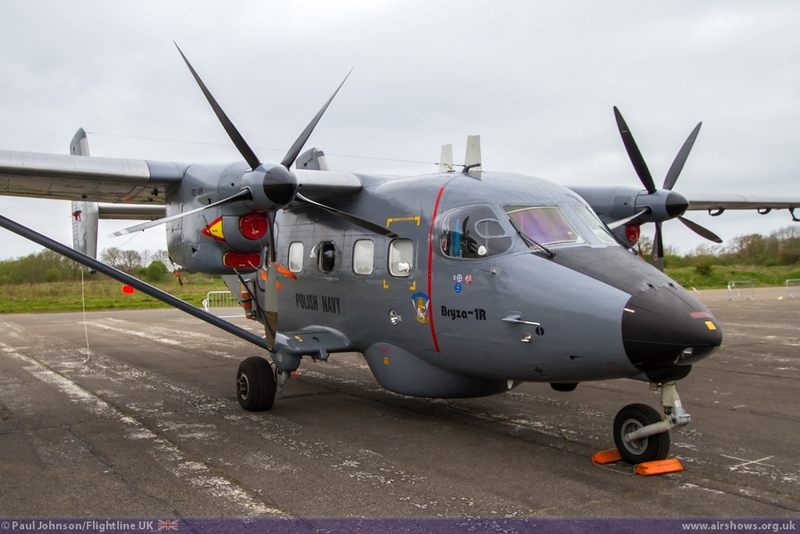 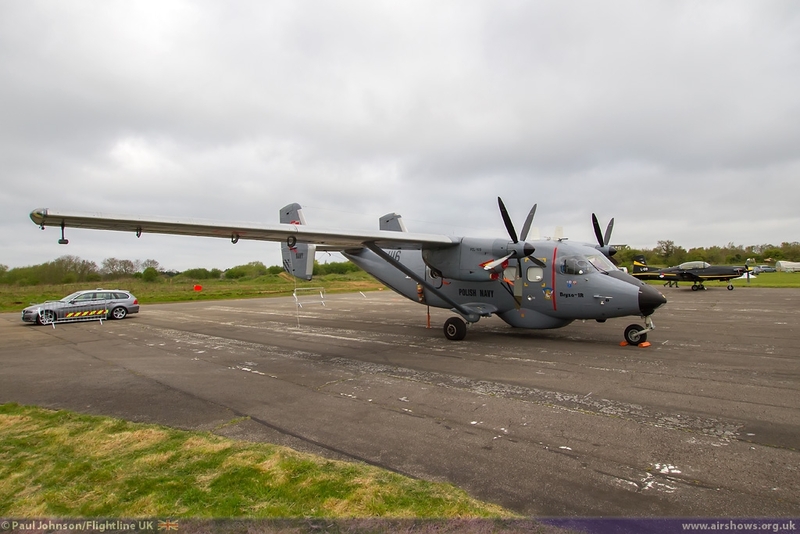 But perhaps the star was the Polish Navy PZL M28-1R Bryza. 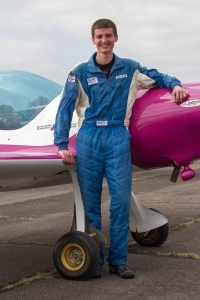 Such a line-up is testament to the efforts of Neil Porter and his team to attract participants to their event, often outshining bigger events elsewhere! 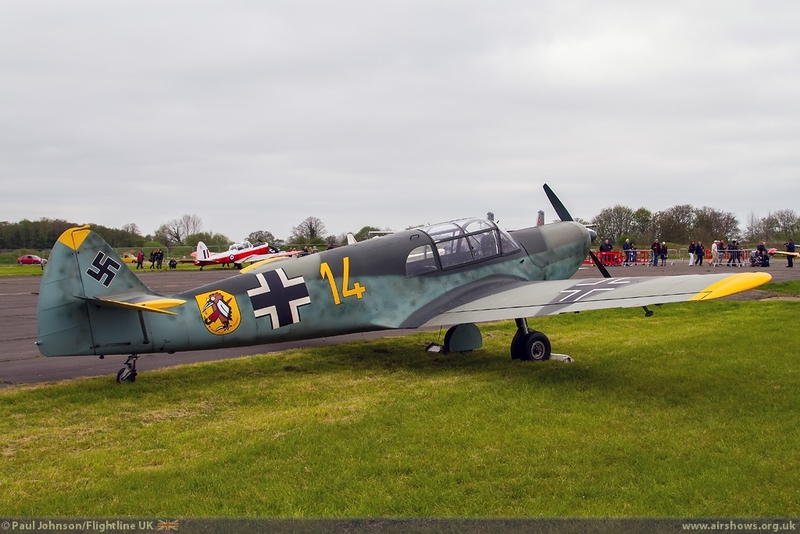 As ever, there was a large fly-in of aircraft during the morning, and the fair weather certainly meant there was a huge selection of types including a Fokker S11 Instructor, Bucker Bestmann, Nord 1002 (Me 108 Taifun) as well as numerous examples of Van RV4s, RV8s, Chipmunks, Bulldogs and so on. 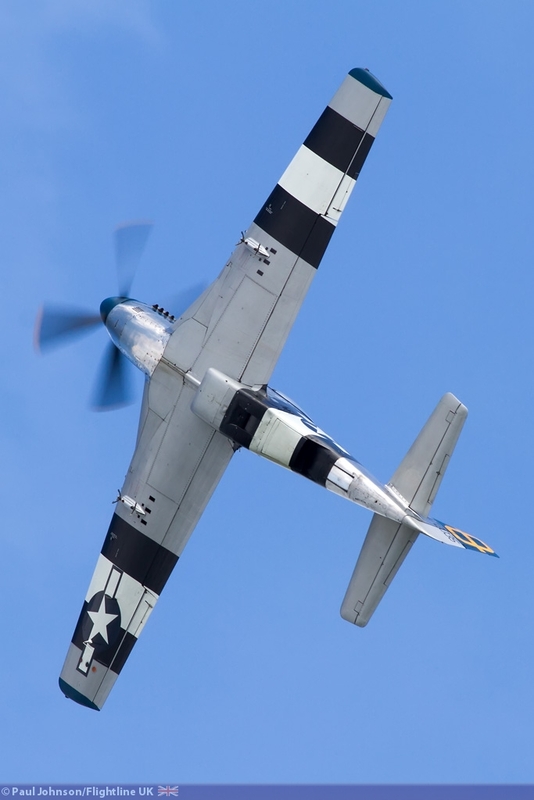 The show is not just about aircraft and as ever there was a superb collection of ground attractions including classic cars, military vehicles, falconry, arena displays and trade stands. 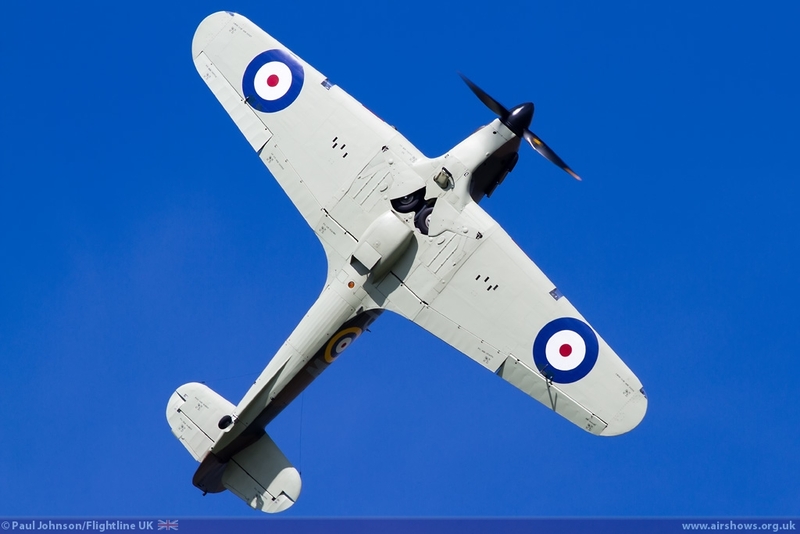 But of course, the main focus of everyone's attention was the afternoon flying display which took place under warm blue skies throughout. 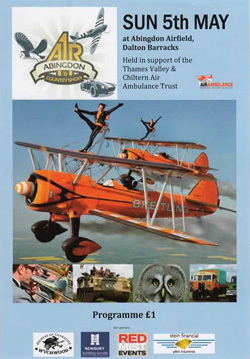 Opening the show was an item with a great Abingdon story. 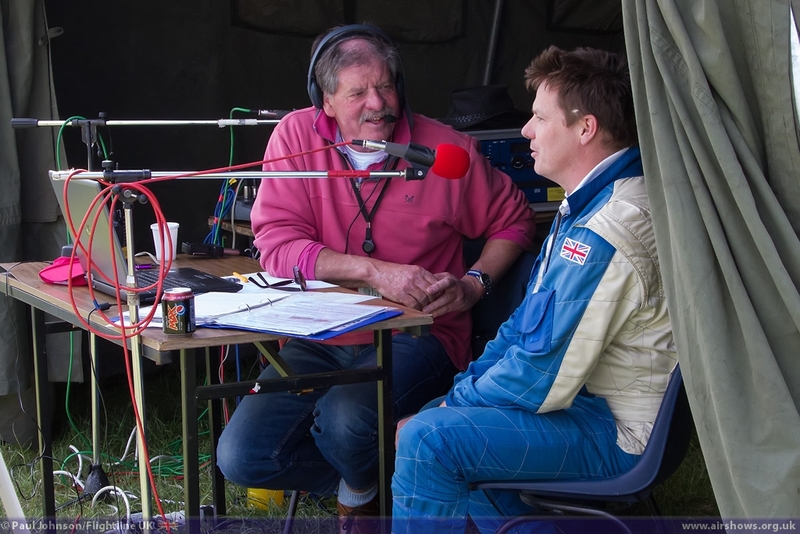 Five years ago Will Hilton was an air cadet marshalling cars at the event. 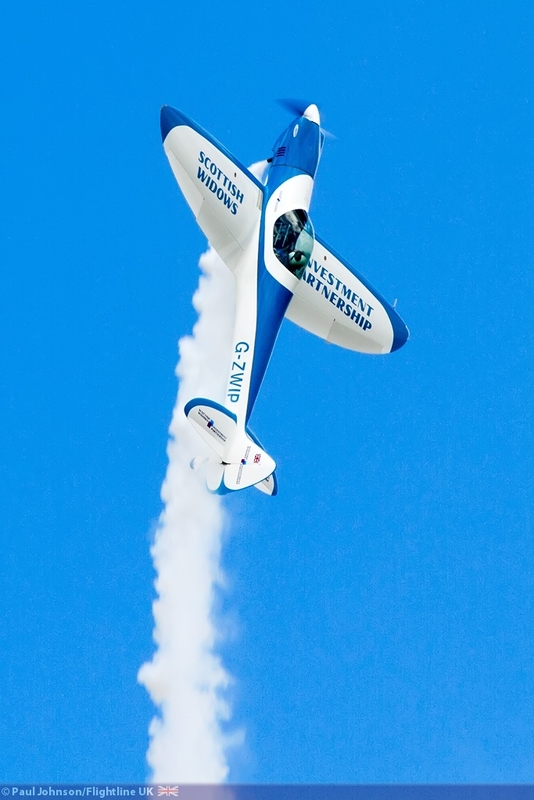 During some time off he met Peter Wells who was making his debut his Silence SA180 Twister G-TWST at the event and sat in the cockpit of the Twister. 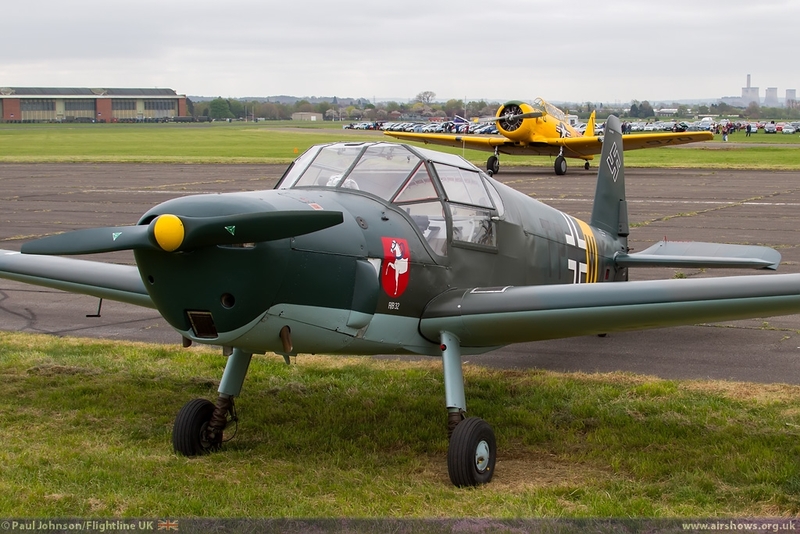 They met again through the Air League Youth Days in Bicester where they flew together in Peter's CAP 10 and from there once Will had gained his pilot's licence Peter invited him to fly the Twister with the aim of displaying the aircraft. 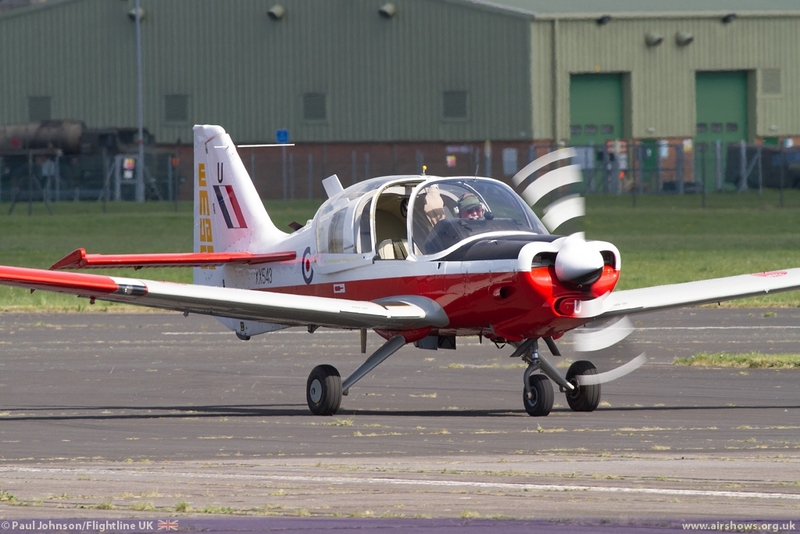 Will's display at Abingdon this year completed the circle and he gave a very competent aerobatic routine of loops, rolls, stall turns and flicks to open the show in SA1100 Twister G-ZWIP which was also G-TWST. Will actually also had to cope with a last minute change to the flying programme after an item was delayed bringing his display slot forward so a deserves a lot of credit for coping with all the difficulties that can be thrown at a display pilot. 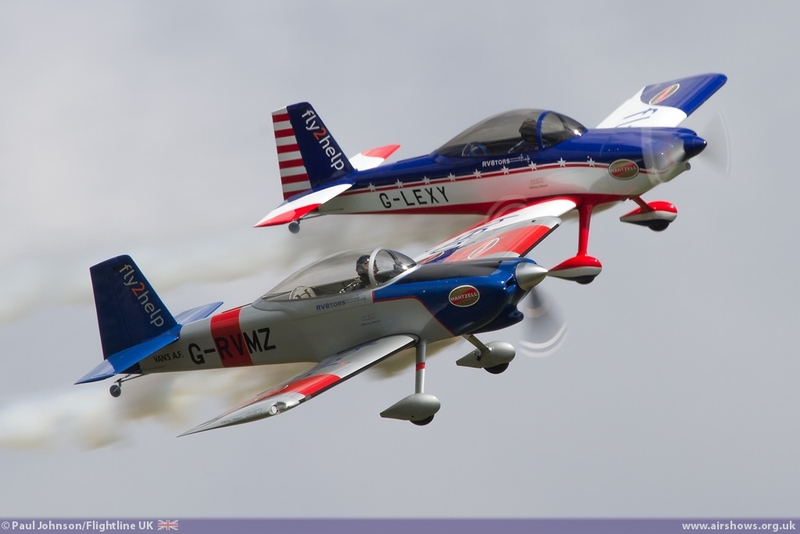 Immediately after the Twister came the RV8tors team of Alister Kay and Andy Hill. 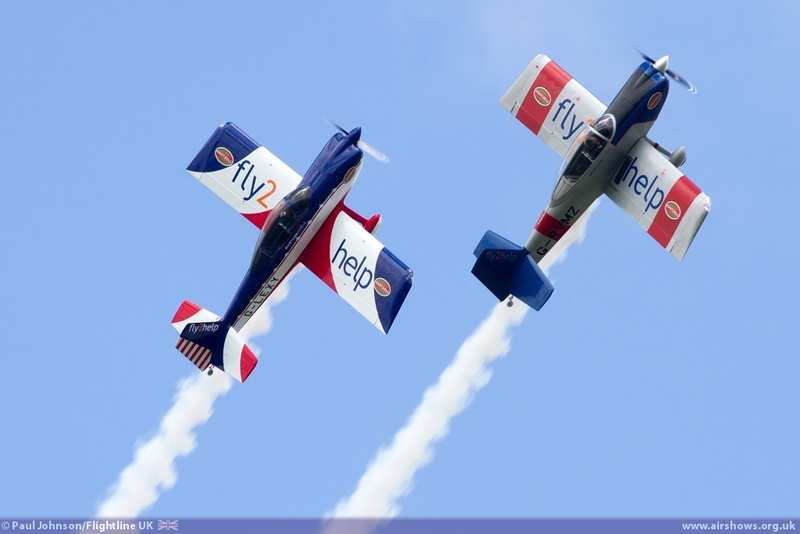 They've become one of the most popular teams on the circuit and have a brand new routine for 2013 involved a lot more close formation flying. 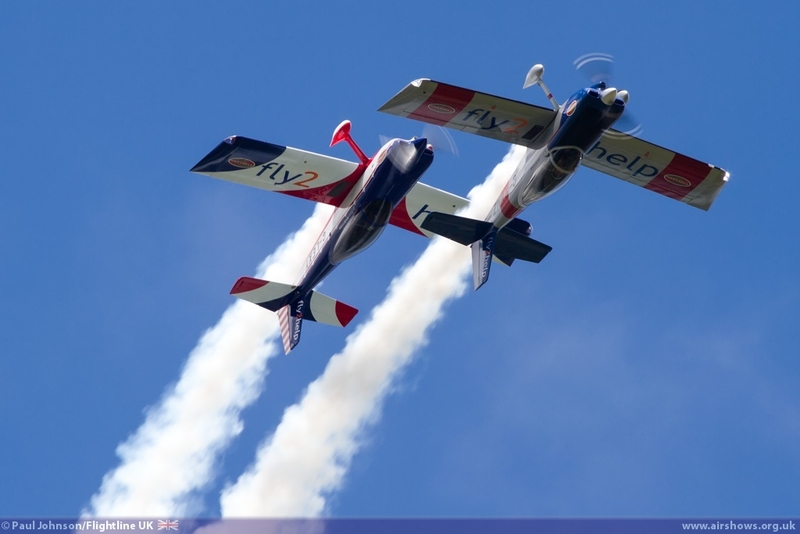 Their colourful aircraft in close formation and their big smoke trails looked great in the blue skies. 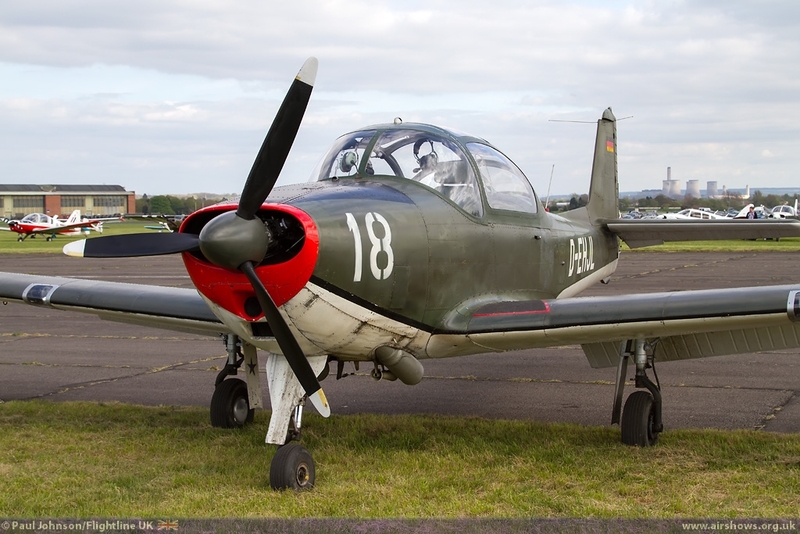 Much of Abingdon's flying programme focussed on training aircraft from the Second World War through the Cold War. 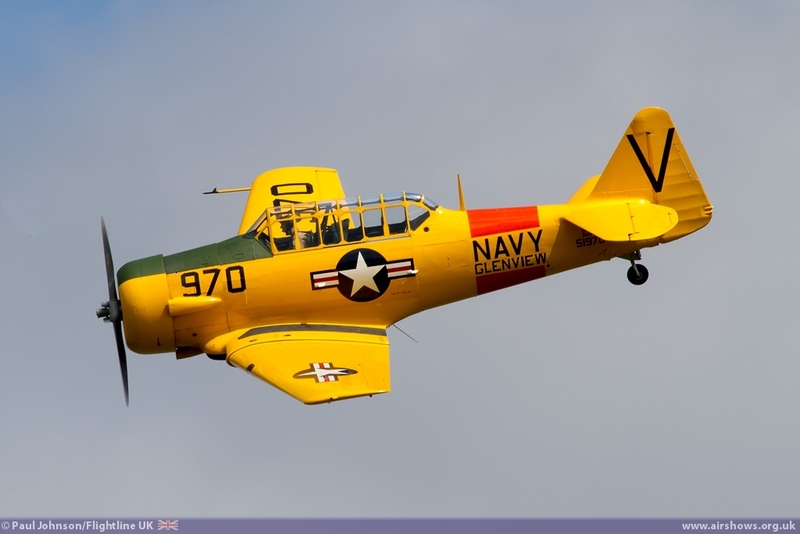 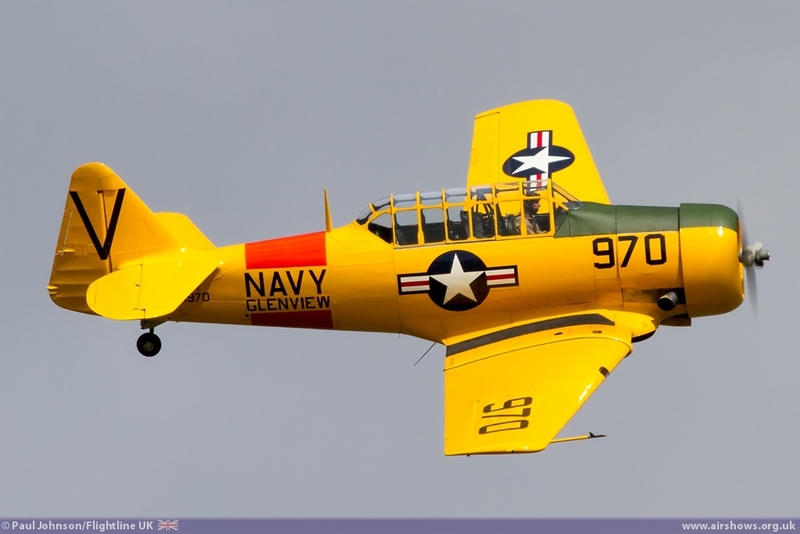 The North American Harvard is perhaps one of the most iconic trainers of all time and Clive Davidson put on a very nice display in his colourful US Navy marked example. 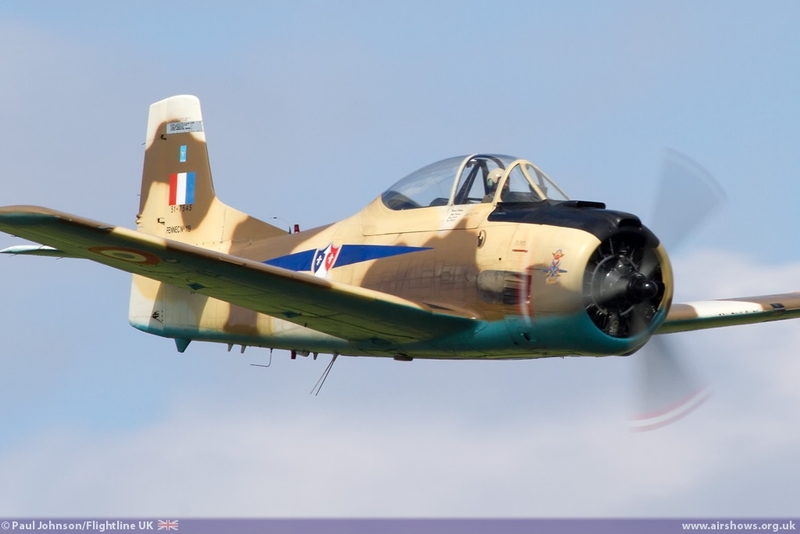 The Harvard was succeeded by the North Amercian Trojan, and Martin Willing's T-28S Fennec was once again in the Abingdon line-up with a series of sweeping passes for the crowds. 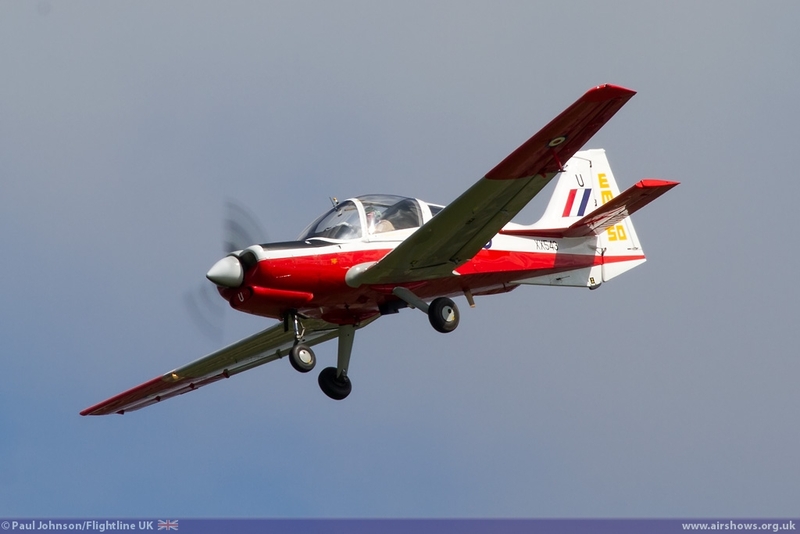 Bringing the trainer story almost up to date was the Scottish Aviation Bulldog T1 flown by Rod Dean. 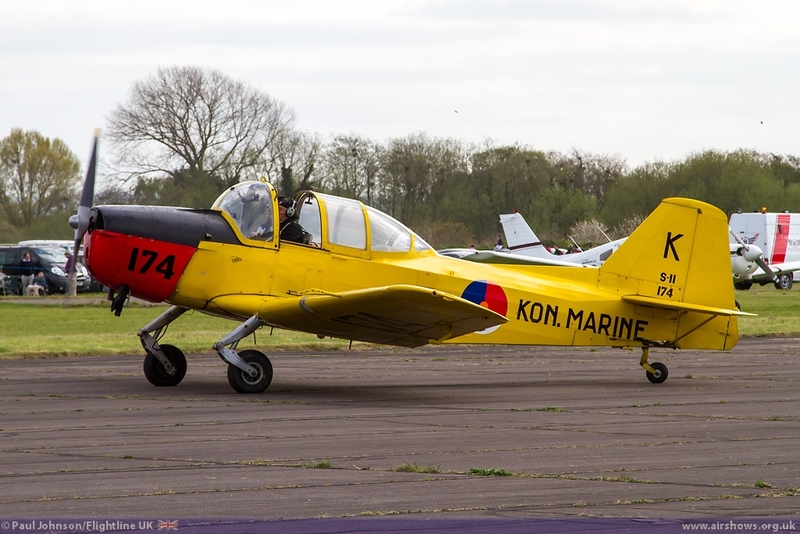 Rod put on a very entertaining and well flown routine in the Bulldog which was wearing the colours of the East Midlands University Air Squadron and looked absolutely pristine. 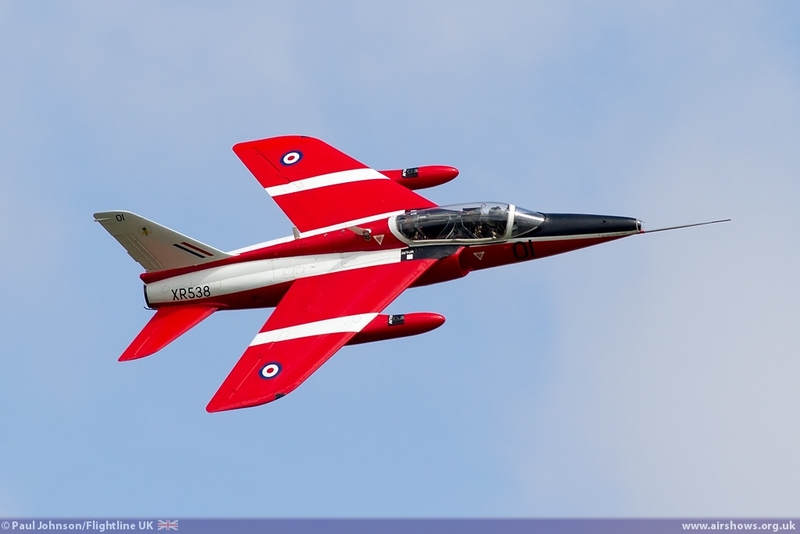 Two jet trainers were also included in the display. 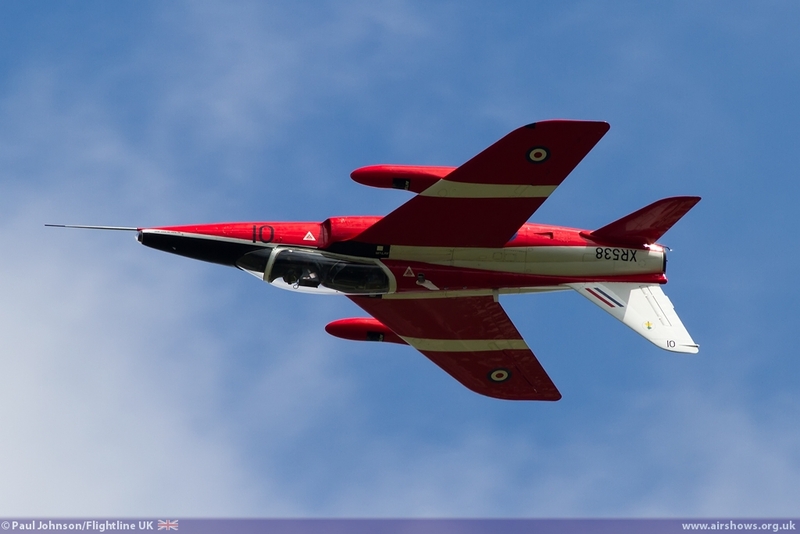 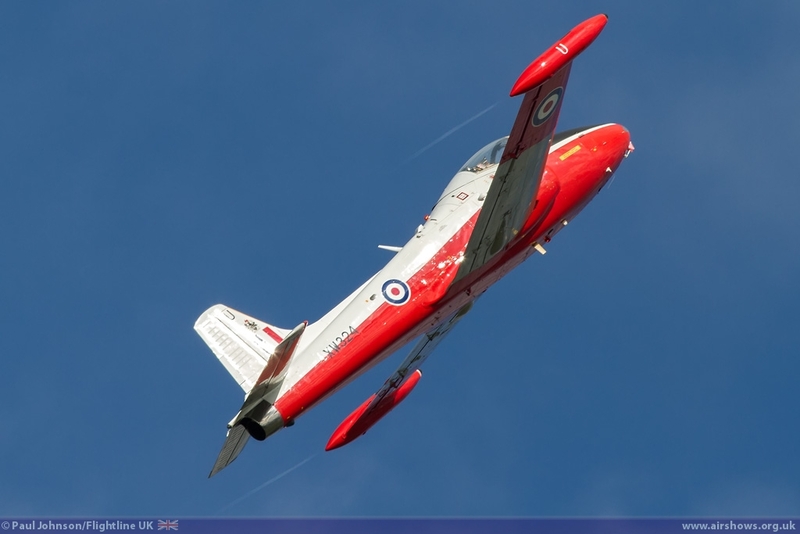 Kev Whyman flew the Folland Gnat T1 from North Weald though some typically punchy aerobatics in the No 4 FTS painted example. 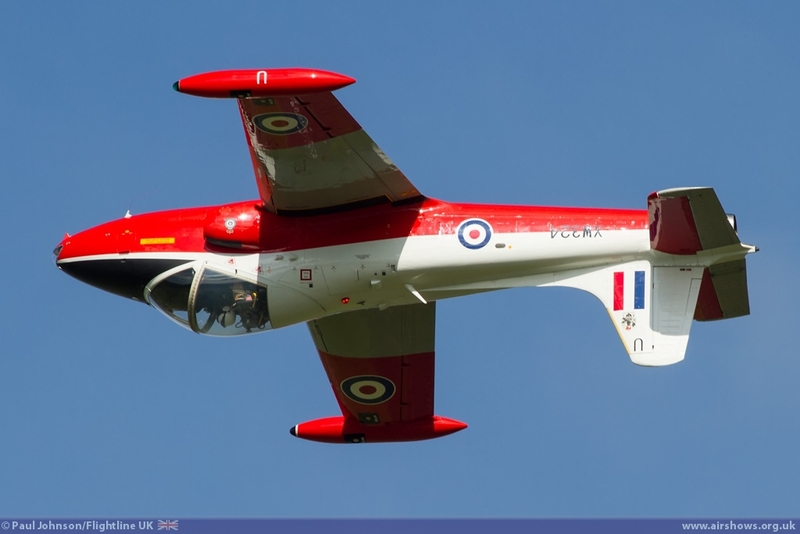 Flying towards the end of the of the flying display, Dan Arlett display Jeff Bell's lovely BAC Jet Provost T5 in a lovely routine in the late afternoon sunshine. 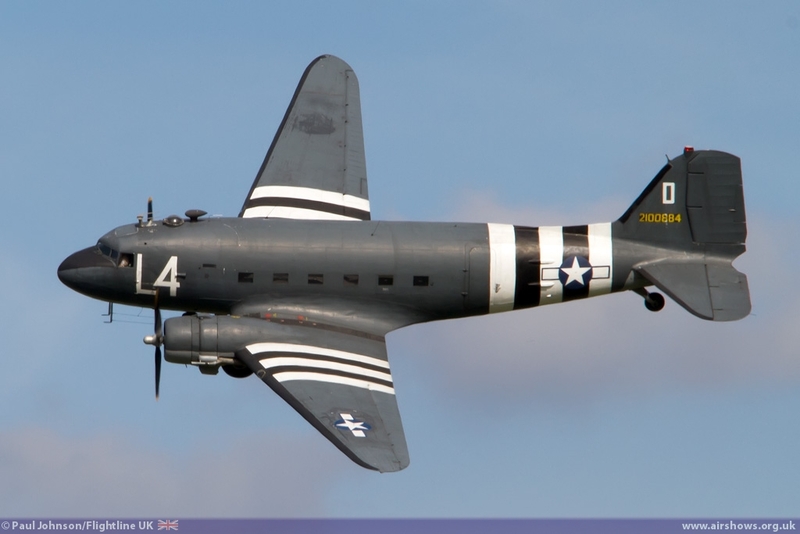 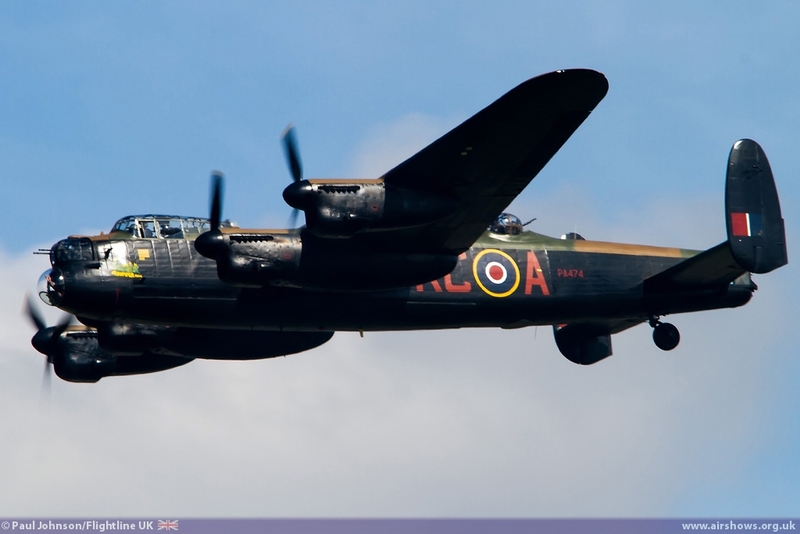 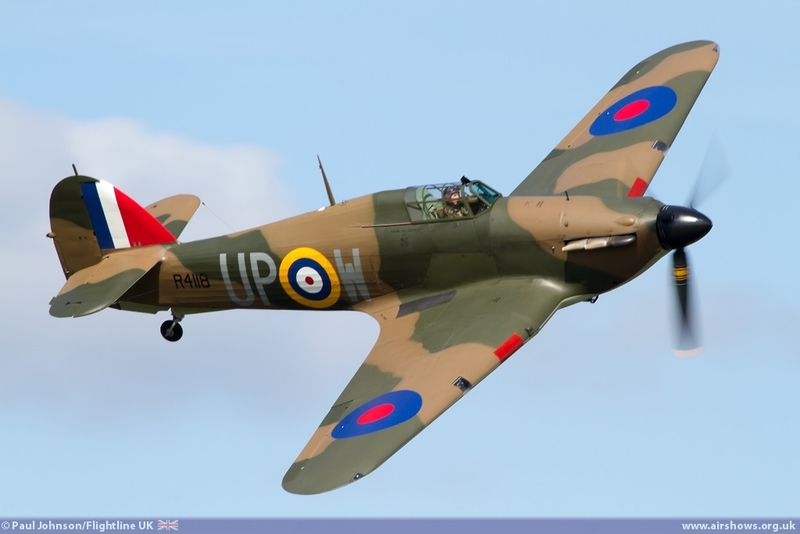 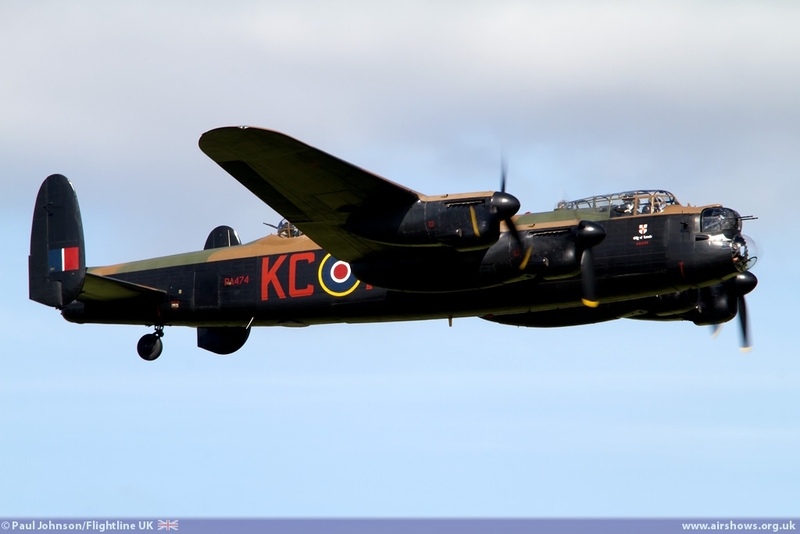 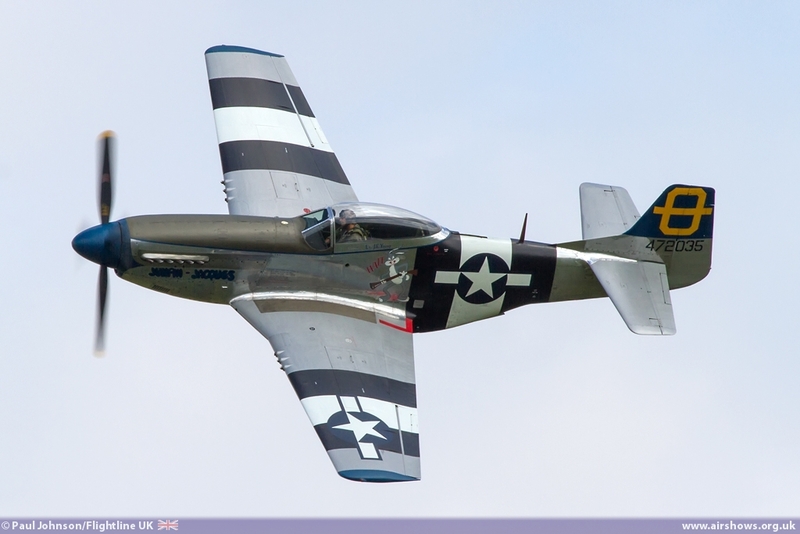 Warbirds saw more involvement this year with the reduced military participation. 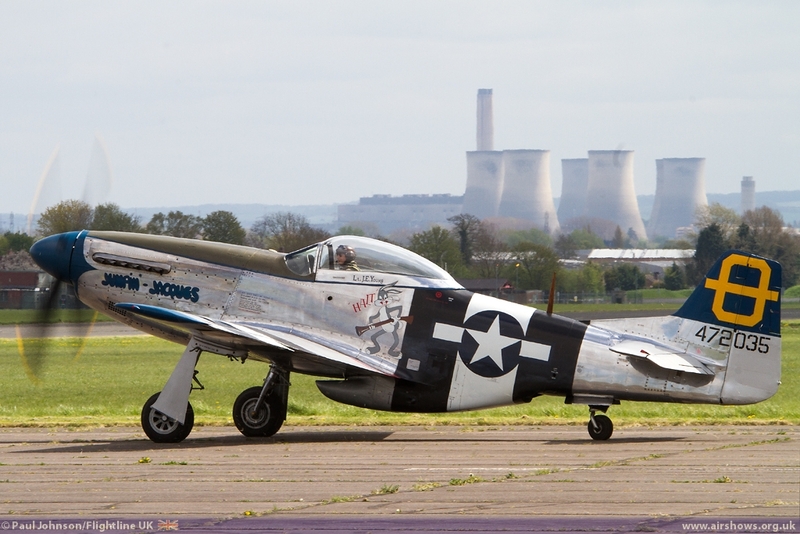 Peter Teichman made a welcome return to Abingdon following a few years absence displaying his North American P-51D Mustang 'Jumpin Jacques' with his usual panache. 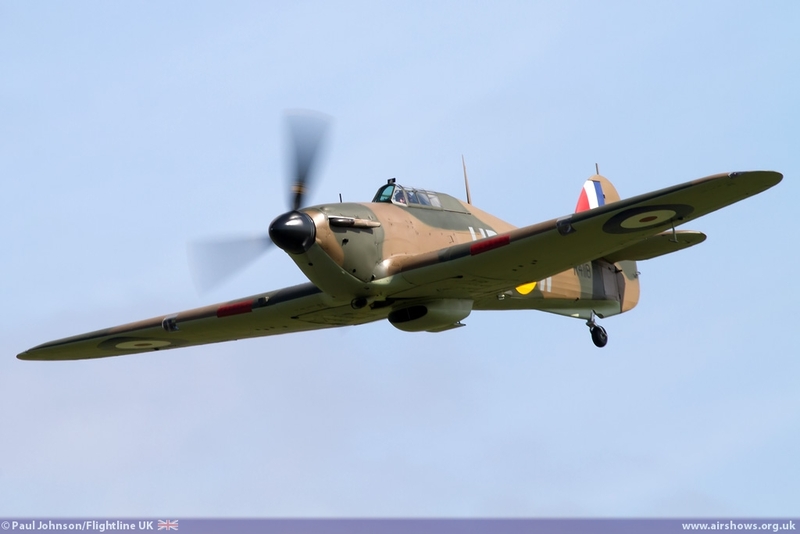 However, one of the star turns of the afternoon was Peter Vacher's Hawker Hurricane I flown by Pete Kynsey. 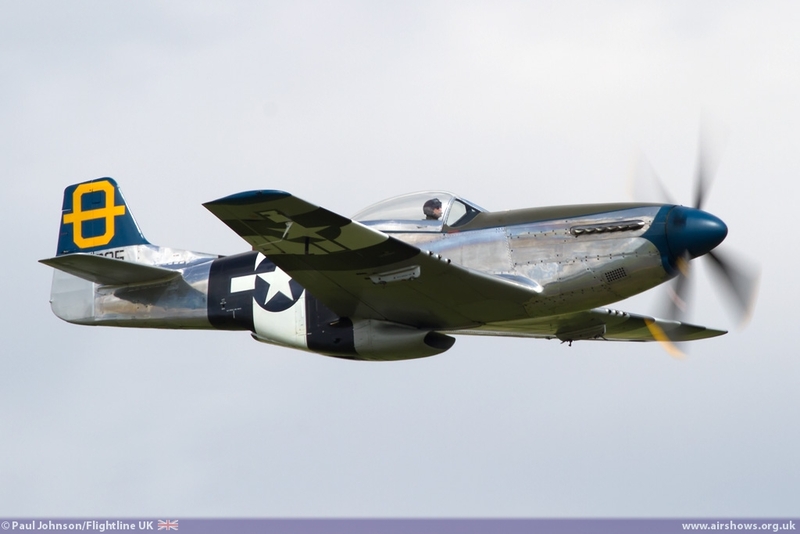 Pete's display was a sublime few minutes of close passes and barrel rolls that really showed off this very historic aircraft to the crowds. 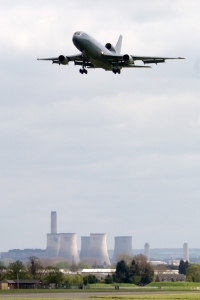 The transport theme was also in evidence with the only RAF participation in the flying programme. 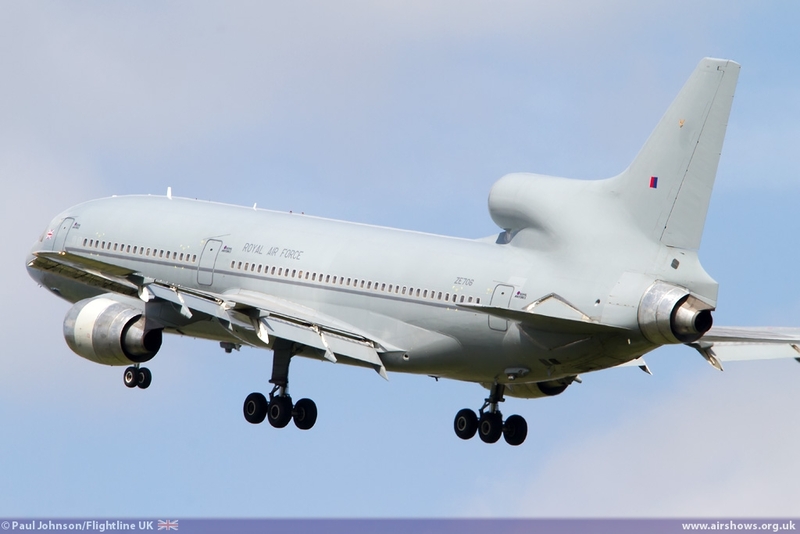 The circuit for RAF Brize Norton is in sight of Abingdon and the show was lucky enough to see a rare public 'overshoot' by the Lockheed Tristar of 216 squadron. 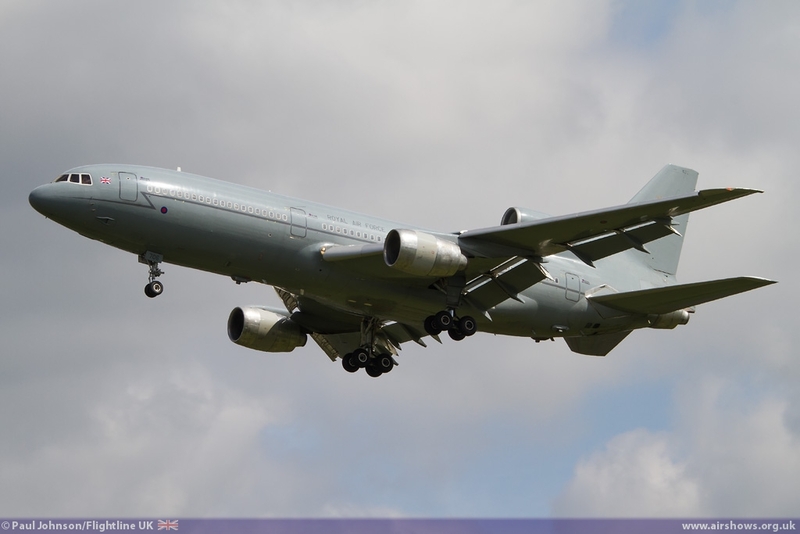 These aircraft will be retired in 2014 and replaced by the new Voyager, one of which was seen on approach to Brize during the afternoon. 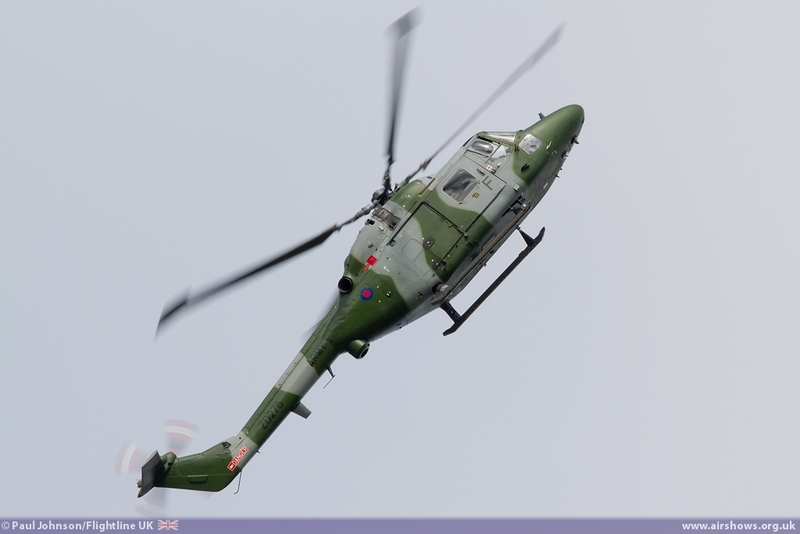 Closing the show was the only full military display of the afternoon, the Army Air Corps Westland Lynx AH7. 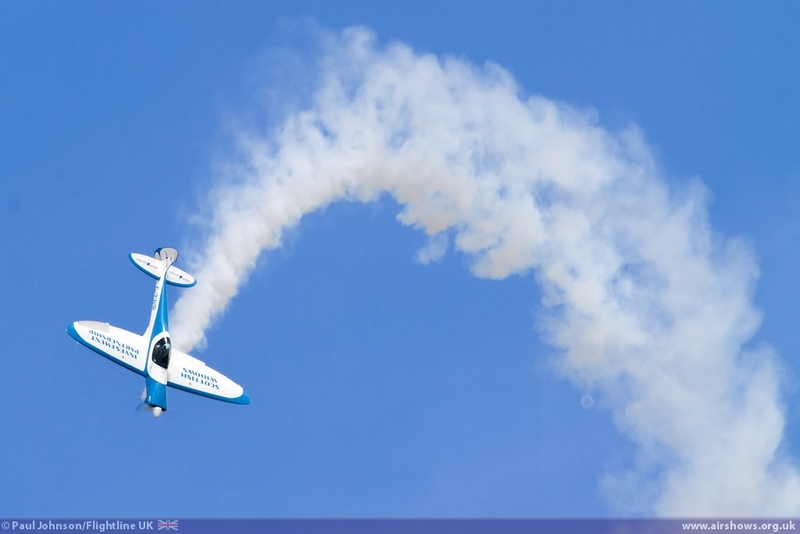 The Lynx is entering the final stages of its career before replacement by the Wildcat, but it is still a stunning airshow performer capable of loops, rolls and backflips. 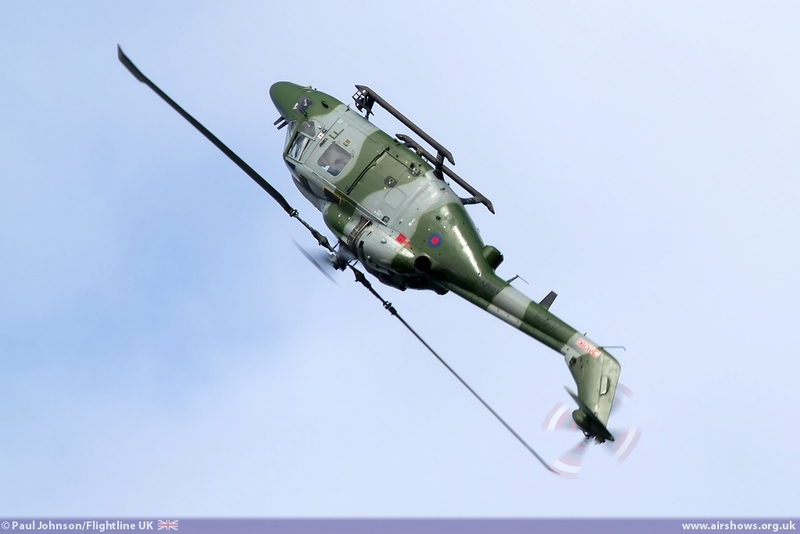 Once the AH7 is retired, such performance is unlikely to be seen at airshows again as the heavier Wildcat won't be able to repeat such feats! 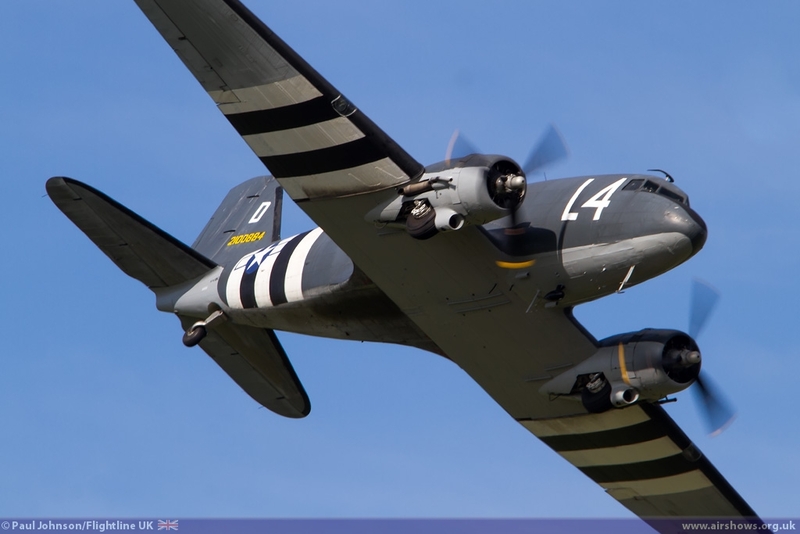 It may have featured a very different flying display, but this was one of the most enjoyable Abingdon Air and Country Shows to date with some great flying and static participants. 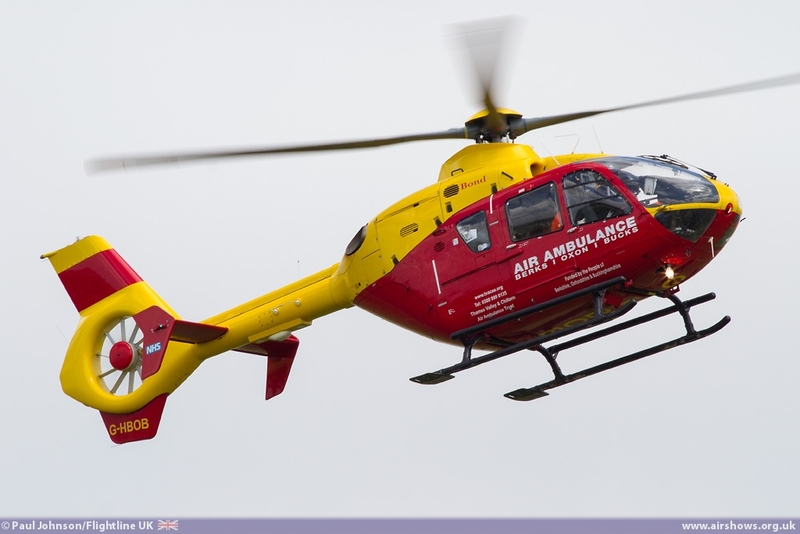 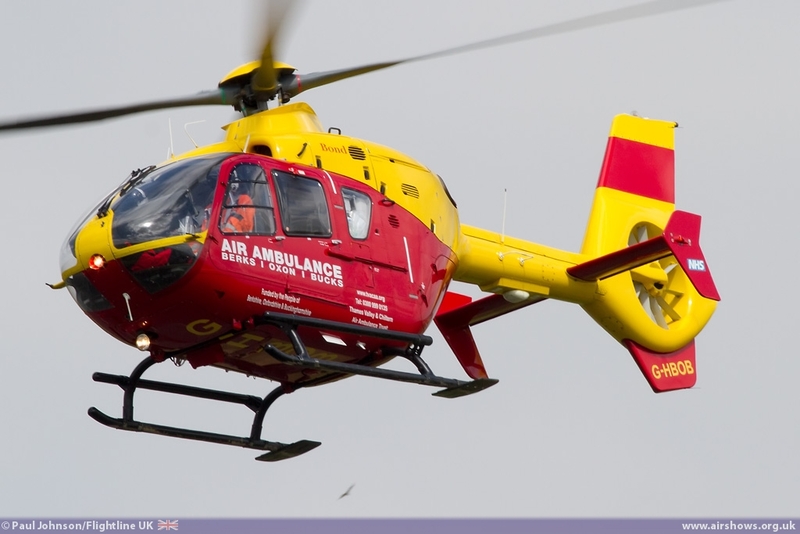 It looked like the weather drew out a large crowd so hopefully a large donation to the Thames Valley Air Ambulance will be possible once the accounts are all settled. 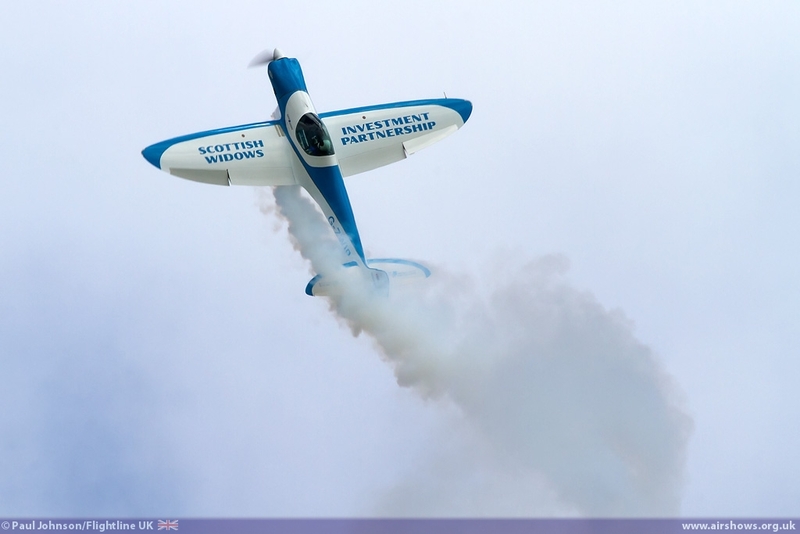 We can't wait to be back in 2014!